In the fall of 2010, we received notice from the Editor of Women’s Wear Daily of their intention to write a front-page editorial featuring the Teresian Carmelites’ anti-aging skin care line, Easeamine. Seemingly, all the years of struggle, loss, and heartache were coming to an abrupt halt. Finally, the compelling force driving us to serve the poor and marginalized would be realized. Days before the release of our story, cosmetic giant L’Oréal seized our front cover position of WWD (Women’s Wear Daily) magazine, featuring their new anti-aging skin care line. Shocked and dismayed, we realized L’Oréal embezzled our patented technology. They defrauded us of the only opportunity available to bring our monastery financial security, and the ability to help others. Eventually, putting us out of business. Brother Dennis’ mission to create sustainable impact in the lives of the poor and marginalized was abruptly halted by L’Oréal’s actions. Susan Dobson, a lay member of the community shared with Dennis her husband’s research as a cardiovascular physiologist. After a proper introduction to Dr. James G. Dobson, Jr., by Susan, Dennis became a fascinated informal student of Dr. Dobson. One of four authorities in the world on Adenosine, Dr. Dobson shared his research on the effects Adenosine has on an aging heart. Always the proverbial professor, he described his anti-aging technology patent. Recognizing the viability of Dr. Dobson’s patent, Dennis immediately sought the technology when the rights to the Adenosine Skin Technology became available. He contacted the University of Massachusetts Medical School to negotiate exclusive rights for the technology. Successfully navigating the terms, the Teresian Carmelites became sole lessor of the patent, which included the territories of North American and the European Union. Utilizing the patented technology, over the ensuing year, Dr. Dobson helped develop an anti-aging compound we named Easeamine. In 2009 the Associated Press released an article on the Teresian Carmelites and our anti-aging skin crème, catapulting sales from 60 tubes in a year to a quarter of a million dollars in two weeks. Easeamine went viral and we could finally support our ministries. In the ensuing months, we further developed the product, expanding into five products; day crème, night crème, eye crème, toner and cleanser. Previous to our launch date in 2010, we had discovered L’Oréal was illegally using our technology, infringing on the patents in countless products manufactured in Europe and the United States. Analyzing some of their products, L’Oréal’s thievery became apparent. It is believed hundreds of L’Oréal’s products have infringed upon our patent since 2008. We further discovered L’Oréal solicited Dr. Dobson for an exchange of information with his technology, which Dr. Dobson rejected. In turn, L’Oréal developed numerous patents using Adenosine and citing Dr. Dobson’s technology. Consequently, in 2003, L’Oréal applied for a patent nearly identical to Dr. Dobson’s Adenosine Skin Technology. In December of 2010, after over one hundred interchanges to substantiate their patent with the US Patent Office, L’Oréal abandoned their effort less than four weeks after L’Oréal’s cover story in WWD magazine. As a result of L’Oréal’s illegal exploitation of our exclusive license for the Adenosine Skin Technology, our branding company could no longer gain attention for Easeamine, causing sales to plummet. By 2013, our monastery was on the brink of foreclosure, the electricity and heat often turned off, while losing our only property slated for the future building of a nondenominational Spiritual Life Center. After two years of prayer and reflection, on July 16, 2013 Brother Dennis ended his old story of being a monk and began a new story as a secular man of God. Continuing the Teresian Carmelite’s mission to serve the needs of the poor and marginalized, Dennis pursued his vision of creating sustainable businesses and revenue for social impact. 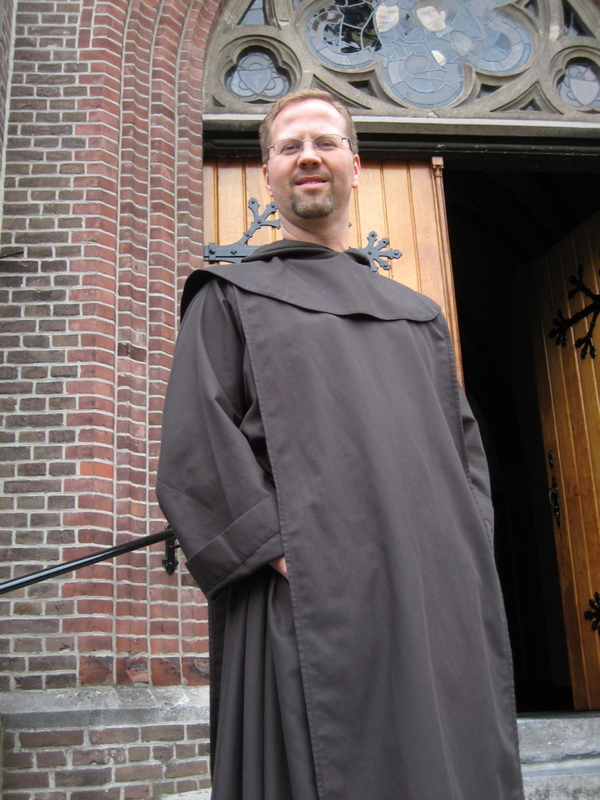 After leaving monastic life, Dennis continued to seek strategies to create social impact on the lives of those in need. In 2015, Dennis wrote a personal letter to Jean-Paul Argon, the CEO and chairman of L’Oréal, expressing his concern for their theft of his technology. Two weeks later and without a response, Dennis contacted Mr. Argon’s secretary Aurélie Theret, who facilitated communications with Mr. Argon and their Director of International Patents, Denis Boulard. After six months of correspondence it became necessary to enlist Foley & Lardner, his attorneys. In 2016 L’Oréal’s council, including Denis Boulard, met with Dennis at the law offices of Foley & Lardner in Boston, concluding in bullying stall tactics and a stalemate. After eighteen months of interviewing litigation law firms, we selected Susman Godfrey LLC and their nationally recognized trial lawyer Bill Carmody of New York City, who joined our legal team on a contingency basis. In June 2017, we filed a lawsuit against L’Oréal, which is currently working its way through the judicial system. In the fall of 2018, L’Oréal attempted to invalidate the Adenosine Skin Technology, which was denied by the US Patent Office. Shortly after L’Oréal appealed the US Patent Office’s denial, which was followed by an affirmative and final denial of the appeal. In May of 2018, with two of the products in the 5-product Easeamine line sold out, the Teresian Carmelites did not have the resources or capacity to manufacture replacement products. L’Oréal’s foot-hold in the industry using the Adenosine Skin Technology, thwarted any interest from major distributors and retailers. At the beginning of 2019, Easeamine is slated to terminate its online business.